Spring is here! Which means that Easter is just around the corner. Easter is a favourite holiday among kids and adults alike. You just can’t go wrong with a holiday that includes flowers and chocolate, right?! 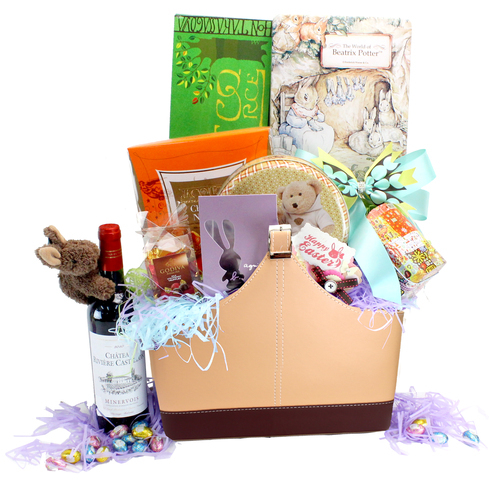 Here at Give Gift Boutique Hong Kong we have the best Easter hampers to make your Easter celebration extra special this year. From special flower deliveries, Easter hamper baskets, chocolates and more. Bring the best the Easter bunny has to offer this year to your family and friends. Easter egg hunts are always super exciting for kids as they search around to try and find the best chocolate prize. Why not surprise your child with something extra special like an elaborate hamper with all the Easter fixings or an adorable stuffy keepsake to make for an extra memorable Easter! 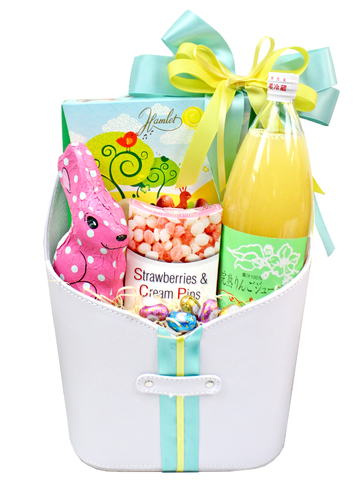 This cute Easter hamper includes Belgian and German chocolate, British hard candies, as well as a bottle of 100% Japanese apple juice inside a reusable leather hamper. 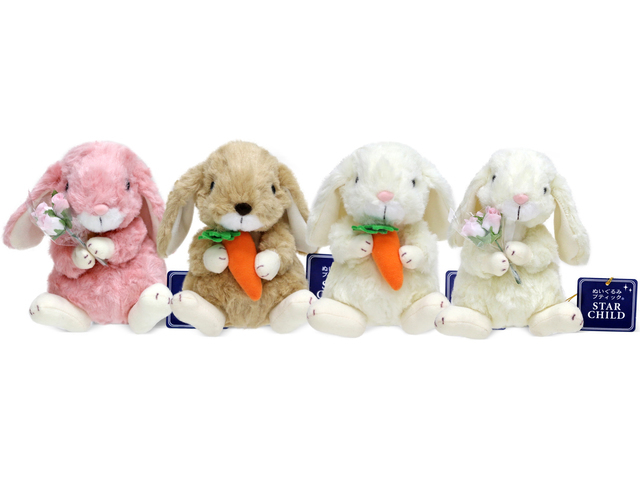 Why not add a little extra to the Easter hamper with one of these adorable and cuddly Japanese-made stuffed animals that come in 4 different colours and styles. Give the Easter hamper that has it all for that special woman in your life. This large Easter hamper has everything from wine, cookies, egg rolls, a Sweet Pea bunny stuffed animal, and of course plenty of chocolate. Agnes B, Godiva and Jacquot Chocolate Noisette are some of the fabulous featured chocolate brands in this great Easter hamper. Pair this Easter hamper with a bouquet of vibrant pink lilies for the ultimate Easter gift. 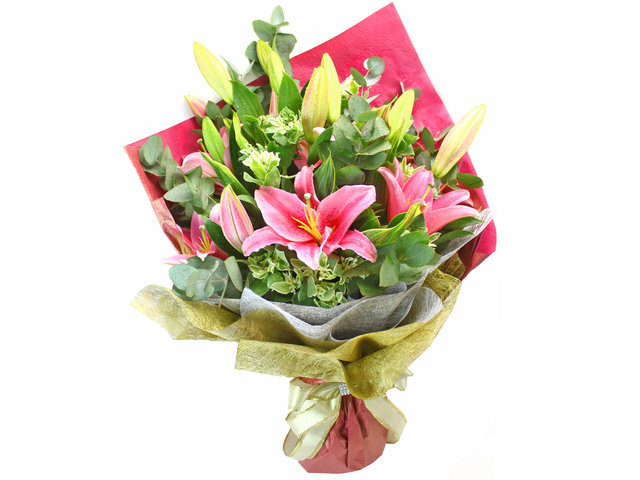 This vibrant bouquet contains of 15 Sorbonne lilies along with matching greens sure to be loved by any spouse, sister, aunt, or niece at Easter. Don’t forget about your parents or grandparents this Easter and spoil them with a large and shareable Easter hamper that is sure to put a smile on their faces that might rival that of the kids at Easter. 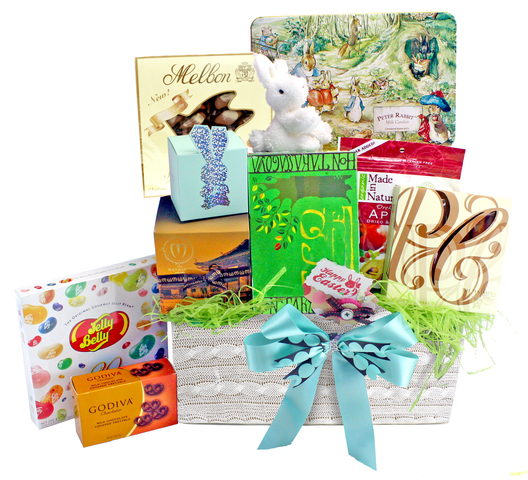 The hamper contains luxury items from the Peninsula Hotel, Japanese pastry cookies, coffee candies, dried fruits, assorted Jelly Belly jelly beans, a Sweet Pea bunny stuffed animal and a further variety of chocolates and truffles. Top this gift off with a flower bouquet for that extra touch of spring! 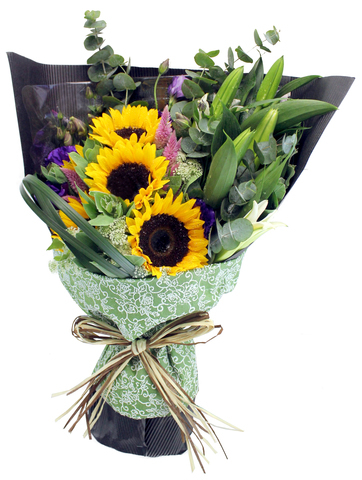 This Sunrise bouquet just sings spring with its large yellow sunflowers and accompanying lilies. 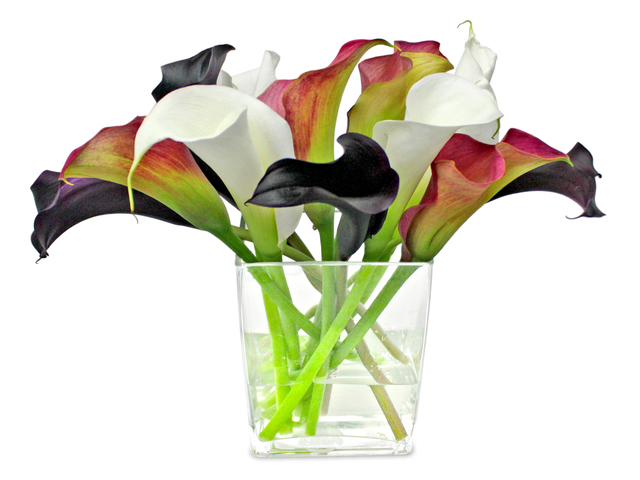 This elegant and sophisticate bouquet would light up any kitchen or entryway. Easter is a holiday for everyone, even him! So treat the man, dad, or gent in your life to a special Easter gift this year. This Agnes B Easter hamper contains Agnes B Delices chocolates as well as France MAISONXXII assorted chocolates, Agnes B cookies, coffee mug and coffee, a large plush bunny, and a bottle of premium organic apple juice from Germany. Pair this great hamper with a vase of calla lilies to suit his masculine tastes. We’ve been Hong Kong’s favourite florist and gift shop since 2008 and our florists can offer expert advice and care when it comes to flower arrangements, flower deliveries, and gift hampers. Got an inquiry? Contact us! This is a Hong Kong GGB original 'Festive Easter Gifts - food baskets and flowers presents' blogpost.